Rosie Danvers first worked with Rita on the track ‘Coming Home’ produced by SIGMA back in 2015. Then in September 2016 Rosie recorded the cello for RITA’S gorgeous song ‘Falling To Pieces’ with producers Andrew Watt and Digital Farm Animals, at RAK Studios for her forthcoming album ‘PHOENIX’. Two days later they recorded ‘Hell of a Life’ with a 13 piece string section together with Producer / Writer, Andrew Watt. ‘We absolutely LOVE working with Rita and Andrew, they are both so incredibly musical and brilliant collaborators’. 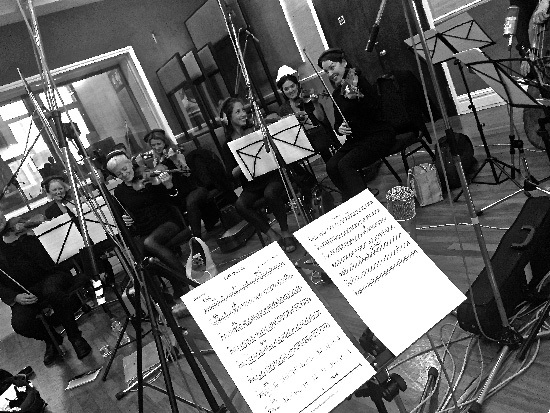 Strings Arranged By Rosie Danvers, Performed by Wired Strings, String session produced by TommyD and Andrew Watt and Recorded at RAK Studios, September 2016. 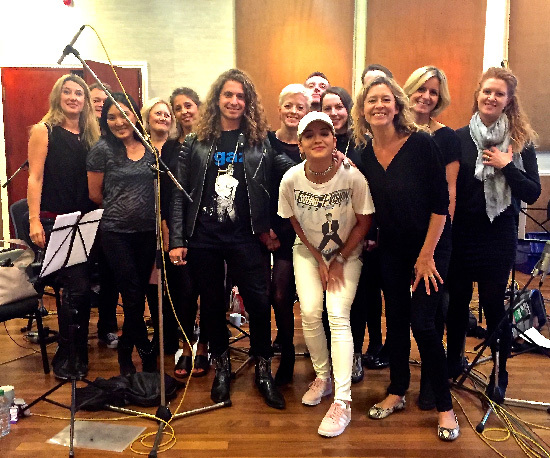 Photo: Wired Strings at RAK Studios with Rita Ora and Andrew Watt.